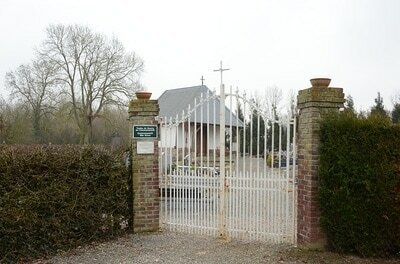 Citerne is located 5 kilometres from the National Road D936, Airaines to Oisemont. From the village of Hallencourt, take the road signposted to Yonvill. 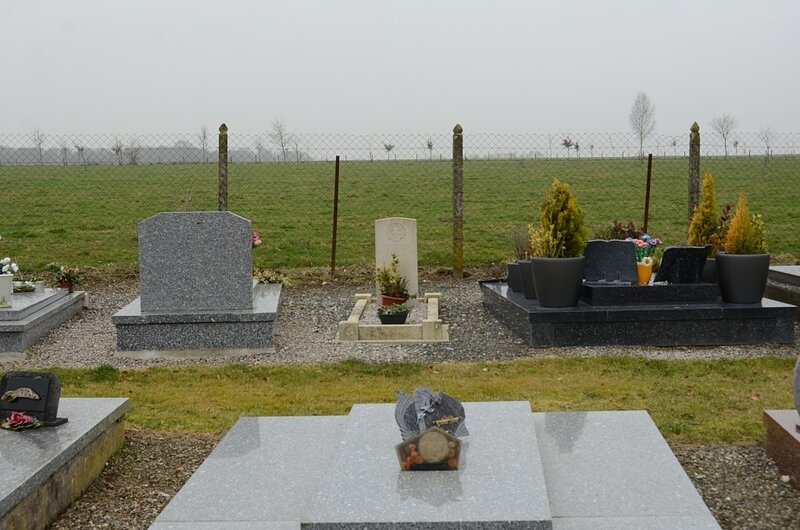 Citerne Communal Cemetery is located to the south of the village. The single Commonwealth war grave is situated on the right hand side of the cemetery. Citerne Communal Cemetery contains one Commonwealth burial of the First World War. 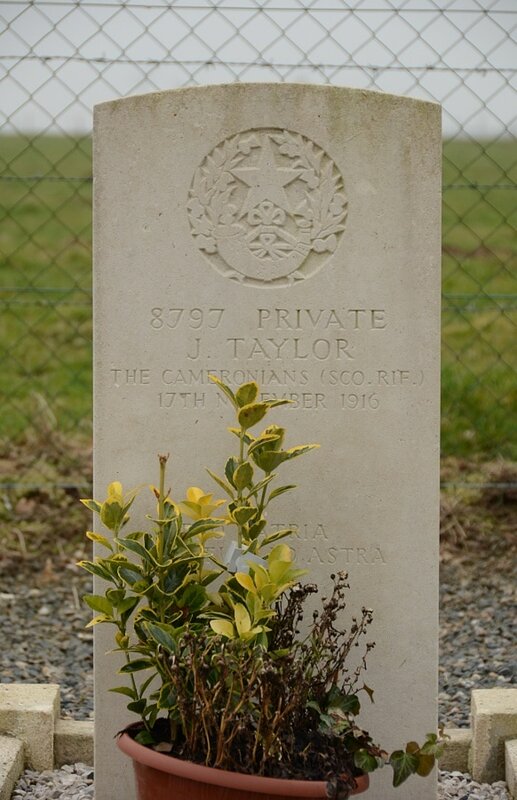 8797 Private J. Taylor, 1st Bn. Cameronians (Scottish Rifles), died 17th November 1916, aged 32. Son of James and Rachel Taylor, of 2, Neptune Terrace, Aberdeen.